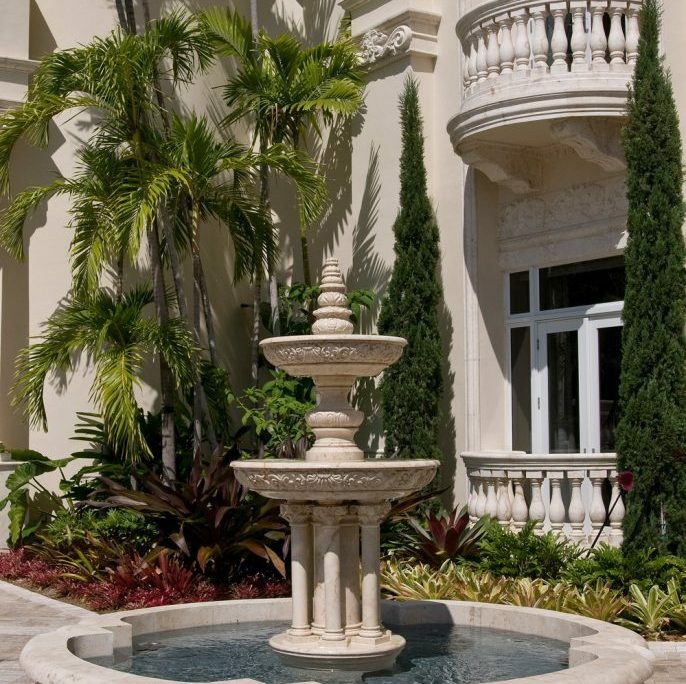 This fountain is currently located in Palm Beach, Florida, and is made of crema Maya limestone from Mexico. BT Architectural Stone collaborated with a landscape architect for the installation and the results, as you can see, are spectacular. 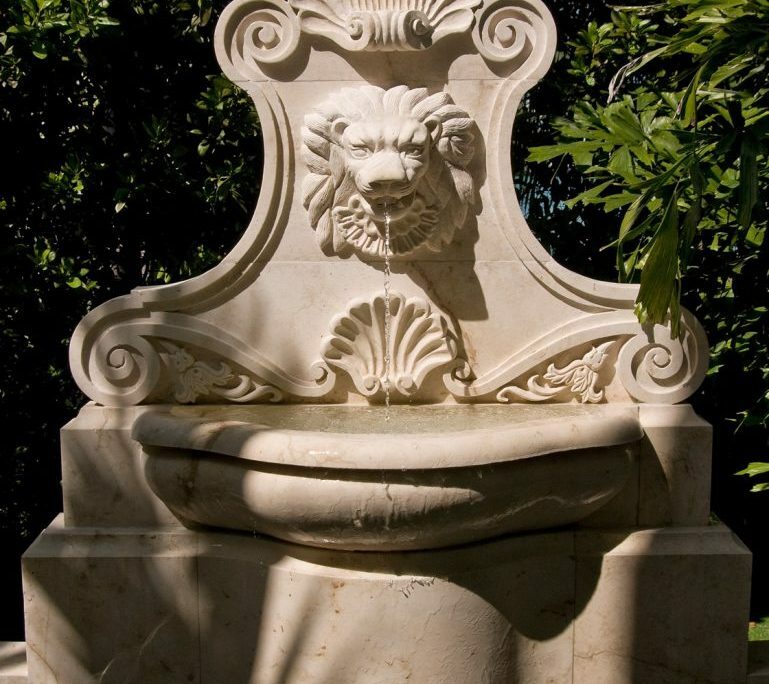 The Dugally wall fountain is one that is created from French limestone for an authentic European flair. This particular fountain is currently located in Newport Beach, California. 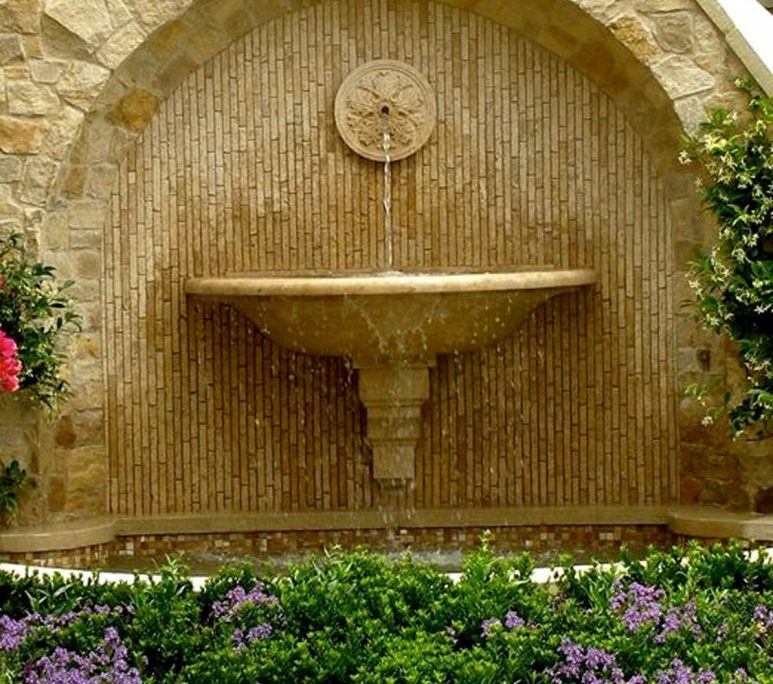 This fountain is a gorgeous structure with traditional classic features, and is made of crema Maya limestone from Mexico. This particular one can be found in Bal Harbour, FL. The Trieste Fountain is another extraordinary piece made of crema Maya limestone from Mexico. 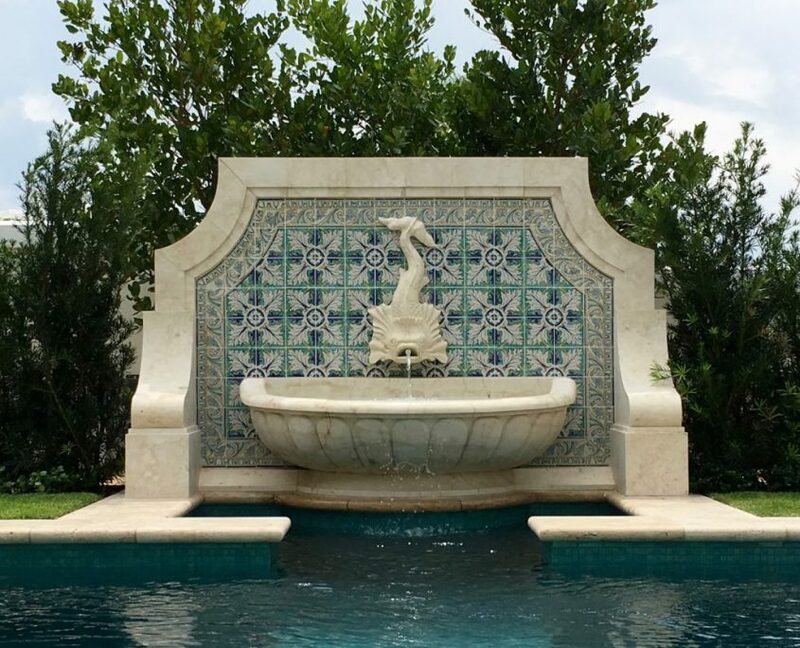 This is an Italianate style piece with one, two, or three tiers that is one of our top-selling fountains. The fountain pictured is located in Bal Harbor, Florida. 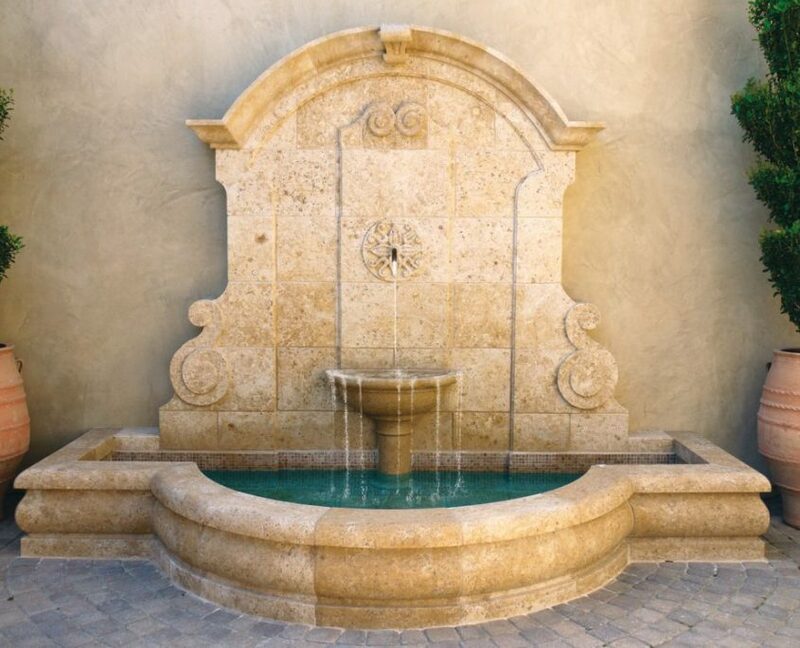 If you’re set on adding a French limestone fountain to your property that is elegant, dramatic, and stunningly beautiful, the Graham Fountain is it. This one can be found in Newport Coast, California. This exceptional fountain was designed and built from a photo the owner gave us of the knights she wanted, and BT Architectural Stone took it from there. 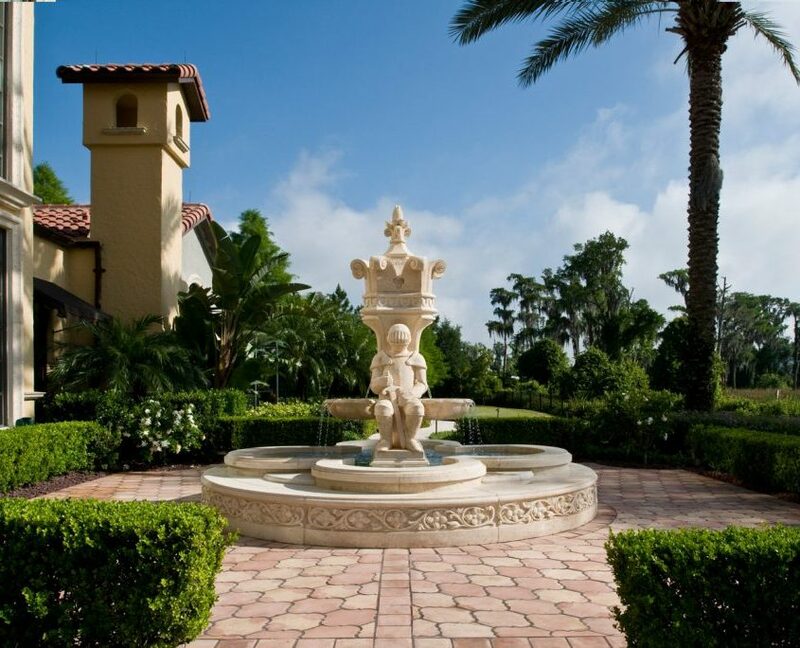 Made of Vicenza limestone from Italy, this Knights Fountain is currently located in Windermere, Florida. The Parc Regent Fountain is made of mocha cream limestone from Portugal, and is a gorgeous example of modern, sleek design. BT Architectural Stone collaborated with a landscape architect on the piece, and the one pictured is located in Palm Beach, Florida. 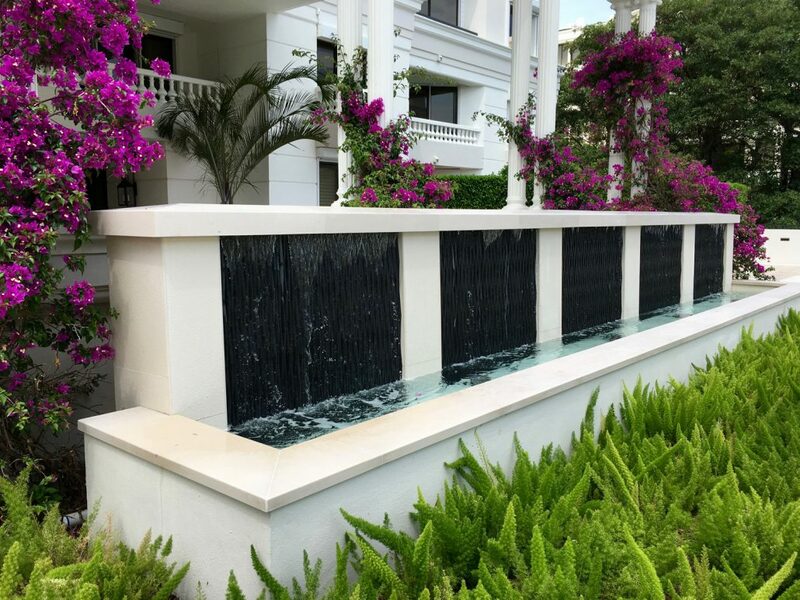 Regardless of the specific design, style, size, or scope of your next fountain project, trust BT Architectural Stone to lead the way with exceptional service, design, craftsmanship, delivery, and installation of your next fountain. Contact us today to get started with your next project.